»He ran 6 marathons in 5 days for Salah Sports! 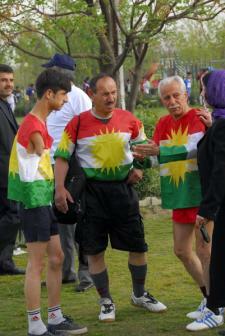 »Hundreds participate in Erbil Freedom Day Run 2008! »Over 300 participants in the Ranya Community Run! A friend and supporter of Salah Sports, Paul Bailey, is undertaking a long and gruelling cycle ride to raise funds for the foundation. Please show your support by sponsoring his epic effort! Paul will cycle non-stop from London to Lands End (on the southwest tip of the UK), a total of 320 miles (or 515 kilometres). 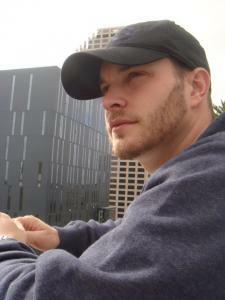 Paul Bailey is a UK national who has been living and working in the Kurdistan Region for some years. His passion for the development of Kurdistan and his commitment to its progress has won him many friends. Paul has been aware of the foundations work and has generously decided to raise funds to support the foundations mission: building community bonds through sport. 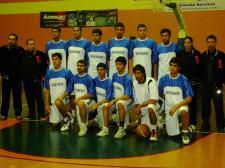 On Thursday 9th December 2010 The Salah Rahman Sports Foundation organized a visit and match by Baglar Basketball Team from Diyarbakir, Turkey to Erbil, capital of the Kurdistan Region. 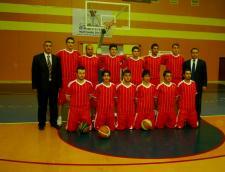 The team (pictured in white) played an Erbil selection in an exciting match that ended with Baglar victorious by 56 to 41. 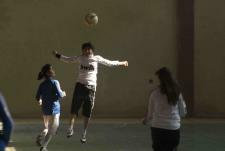 The team also conducted coaching sessions as well as visiting a school and Erbil Citadel. 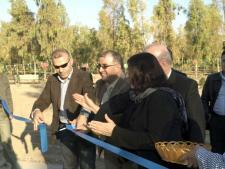 The event was also generously supported by Erbil Governorate and the Turkish Consulate in Erbil. In August 2009 a few sports pages in Turkey reported the transfer of Baver Yucesoy, a 17-year-old Kurdish basketball player from Baglar, the poorest and largest district of Diyarbakir, to the major professional basketball league team Efes Pilsen. The newspaper headlines were "The poor kid Baver is signed up by Efes," and "From the ghetto to Ephesus." For the local media in Diyarbakir this was a cause for celebration, as Baver was "setting an altogether different role model to many youngsters living in poverty and hopelessness." When the Baglar Youth Basketball team was started by the Diyarbakir Municipality 6 years ago the goal was to take the youth away from streets and from crime; with 80% unemployment rate. Baglar is home to more than 350,000 people with 68% migration rate, all from the villages forcibly evacuated by state forces in the region in the 90s. Thanks to the visionary coach Gokhan Yildirim, Baglar Basketball team has brought home 50 cups within 5 different categories. Successful players have been transferred to the best basketball teams in Turkey, have been selected to NBA camp in the USA, and have gained scholarships in private colleges and high schools. The Salah Rahman Sports Foundation looks forward to creating further bonds with international teams and coaches visiting the Kurdistan Region. 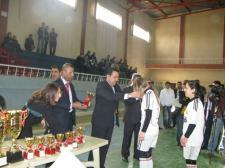 On 12th January 2010 the final of the Erbil Schools Girls Football Tournament took place, organised by the Salah Rahman Sports Foundation. The final was between Shangaberi and Shanga schools, with Shangaberi victorious, winning 2 - 0 with two early second half goals in a close, high energy game. 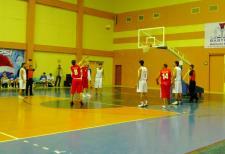 Hundreds of spectators predominantly from girls schools in Erbil added to an exciting atmosphere. 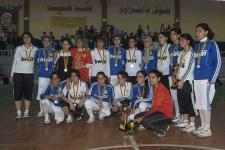 The final was the culmination of a tournament organised by Salah Sports that commenced on 9 December 2009 and included 14 school teams amongst girls teams aged 14 to 16 years old. 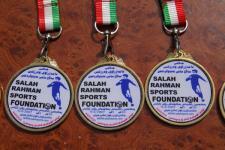 in addition to organising the tournament, Salah Sports provided equipment and sports clothing for various participating teams. Attending the final and giving prizes at Erbil's Franso Hariri Hall were Sherdi Tahsin currently an MP and ex Iraqi professional footballer, Omed Khoshnaw of the Kurdistan Youth Union, Bayan Sami Abul Rahman from the Foundation and a number of local dignitaries. Salah Sports would like to thank the following for their support for this initiative: Jalal Perishan, the Governor and Deputy Governor of Erbil, Family Fun and Darin Company and all headmistresses and school teachers of the participating schools. He ran 6 marathons in 5 days for Salah Sports! Daily routine on the race; Wake up at 6am, try and shake some life into my aching legs, then get some breakfast ready, consisting of dehydrated high calorie meals and a much needed coffee. Then begin taping up my slowly deteriorating feet, which looked scarier each day! Final prep before the days running includes preparing electrolyte and energy drinks for the first stages and finally packing all my kit into the backpack, mine weighed about 13kgs. Racing started at 8.00am and until 10.30am, the temp was usually 30-35C, so a chance to go at a fair speed before the temp really gets up. Tired limbs take a while to ease and warm up and then you are cruising! Through the middle of the day, the aim is to keep your heart-rate and sweating as low as possible to avoid cooking and keeling over, whilst keeping the speed up; so you slowly jog on the firm flats and ‘tab’ up the dunes and on soft sand averaging 6km/h. Out here in the heat, soft sand, carrying kit and accumulating 6 marathons in 5 days, my average marathon time was approximately 8hrs, so I usually finished a day’s running at about 3pm. Then it was recovery time; feet admin, replacing calories and lost electrolytes and trying to have a wash with severely rationed water, so mostly wet-wipes! Then there is a chance to talk to other competitors about the day and console folks who have dropped out of the overall race through injury or not meeting the cut-off times, before getting some much needed sleep. Much the same routine at the start of the day though the race begun at 6am, running fast in the early stages, then slowing it down during the heat of the day; the first 25 miles came by with relative ease in 8hrs, then my legs decided to seize up slowing me to a medium walk by late afternoon and a much needed admin stop. After fueling up, more tape on feet and a change of socks, I was in better shape and begun the run into the sunset (not romantic) and darkness; like anywhere with little ambient light (and the desert does not disappoint), the night sky is incredible with stars reaching down to the horizon, keeping me going into the night. By 10pm, 16hrs into the stage with about another 3hrs to go, energy was ebbing and the pain flooding, though with a good Ipod play-list and plenty of Ibuprofen I kept the speed up and made it across the stage finish line at 01:20am, after 19hrs20mins of racing and utterly exhausted, though in complete awe of the achievement. The final stage a ceremonial formality running 2km through the Pyramids of Giza to the finish line after 6 days and 159miles of running, in an accumulative time of 50hrs04mins, placed 49th out of 127 Competitors. What an experience; incredible, would I do it again in another desert? Absolutely not! 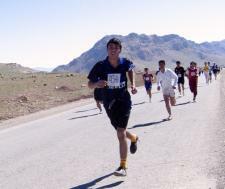 On 9th April 2009 over 200 runners took part in the Qushtapa Community Run, organised by the Salah Rahman Sports Foundation. Youths from within the town and surrounding areas gathered in a celebratory atmosphere to run 10km and 5km distances. Qushtapa is a town in the eastern part of the Kurdistan Region in Iraq and has had a painful history. During the Baathist regime thousands of villages were destroyed and people forced to live in collectivised towns such as Qushtapa. 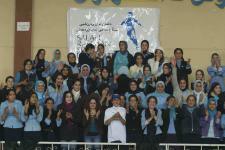 Now as the people of the town overcome their painful history Salah Sports aims to build community bonds through sports. The Salah Rahman Sports Foundation would like to thank the many people and organisations that assisted with this event and we look forward to more collaboration in future. Two girls football teams played in a special match as part of the Salah Rahman Sports Foundation’s activities to promote sport and to participate in a week-long campaign in Kurdistan Region to end violence against women. On Sunday 23rd November 2008 teams from Benislawa and Qushtapa in Erbil Governorate played in a specially organised football match in the Feranso Hariri Stadium in Erbil. The match took place in the week designated by the Kurdistan Regional Government to support women, culminating in the International Day for the Elimination of Violence Against Women on November 25th. The match was organised by The Salah Rahman Sports Foundation in cooperation with the Ministry of Sports and Youth of the Kurdistan Regional Government. Both Benislawa and Qushtapa were created by Saddam Hussein’s regime as “collective” towns, where people who had been driven out of their own towns and villages and were forced to live in terrible conditions. These communities are now rebuilding their lives and it was an honour for the Foundation to create this opportunity to build bonds by organising a match between schoolgirls from both towns. In a celebratory atmosphere, the Benislawa team overcame a valiant Qushtapa by 6 – 1. Trophies and medals were handed out by Taha Barwary, Minister for Sports and Youth, and Bayan Sami Abdul Rahman, a Trustee of the Foundation. The Foundation looks forward to carrying out further work in support of building community bonds through sport in the Kurdistan Region. 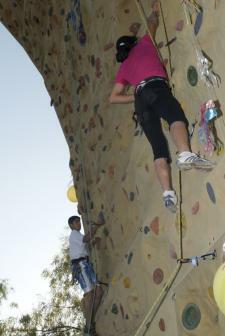 In November 2008 the Salah Rahman Sports Foundation launched a climbing wall in Erbil, capital of the Kurdistan Region. 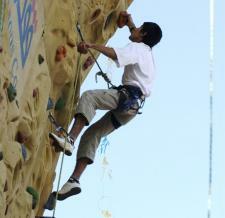 Take a look at the video below for highlights of the launch day, and some young climbers in action. Scroll down further to read the full story. 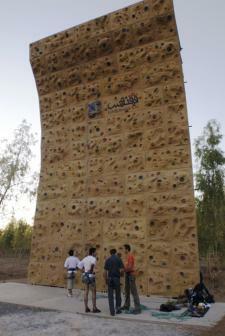 The Salah Rahman Sports Foundation on Friday (November 7, 2008) unveiled a climbing wall in Sami Abdul Rahman Park in Erbil, the capital of Kurdistan Region. The wall, made in Iran and transported to Erbil in Iraq, was officially opened in a ribbon-cutting ceremony by Nihat Latif, the mayor of Erbil City, Taha Barwary, the Kurdistan Regional Government’s Minister for Sports and Youth, and Namrood Baithu, the Minister for Tourism. The ceremony was attended by Kurdish and international friends of the Salah Rahman Sports Foundation, as well as sports organisations and government officials. 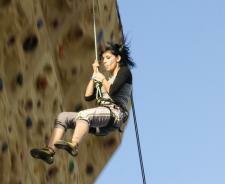 After the ribbon was cut, a group of young men and women demonstrated their climbing skills, using safety harnesses, to climb the 13-metre wall. Salah, whom the foundation is named after, enjoyed a variety of sport and always sought to see better facilities and training for people in Kurdistan. 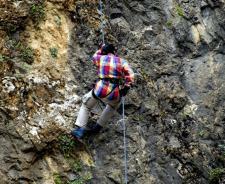 Kurdistan is a mountainous area but there was only one climbing wall in the Region for members of the public to practice on. Now the Salah Rahman Sports Foundation has opened this wall with a group of trained mountaineers ready to coach others and pass on their skills. 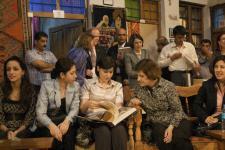 The wall and related facilities were paid for through funds raised by donations and the friends of the Foundation taking part in sponsored events and through the sale of books (Kurdistan: In the Shadow of History) kindly donated by photojournalist Susan Meiselas. The Foundation extends its gratitude to the hard work of all the fundraisers and volunteers who have made this and all our other work possible! 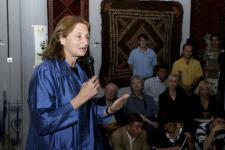 June 3, 2008 Erbil, Kurdistan – Yesterday Susan Meiselas and the Erbil Textiles Museum raised $10,000 for the Salah Rahman Sports Foundation at a book-signing in the city’s historic citadel. 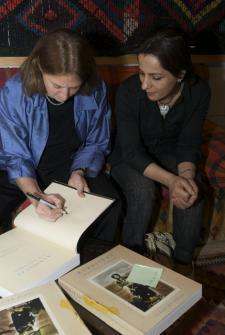 Surrounded by colourful carpets and hangings in the main hall of the museum which sits atop the citadel, Ms Meiselas signed copies of her book Kurdistan In the Shadow of History. About 90 invited guests, and members of the Kurdish and international media heard Ms Meiselas talk about her experience in Kurdistan in the 1990s and the differences she sees today. Kurdistan In the Shadow of History is one of the definitive books on Kurdish history and culture, rich with evocative imagery and content. A very rare item, it has now been reprinted and the new edition of the book is both in soft and hard cover, with an updated chapter about the last ten years written by Martin van Bruinessen, along with translations of all of his introductory texts in Sorani and Turkish. 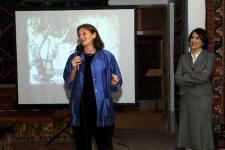 A short presentation was also made about the Salah Rahman Sports Foundation, which thanked Ms Meiselas, the Textiles Museum, the Chwar Chra Hotel which provided technical assistance and the many friends and guests who made the event possible. Special thanks go to the anonymous donor who donated $5000. The Chwar Chra Hotel will sell copies of the book and donate the proceeds to the Salah Rahman Sports Foundation. Erbil’s citadel is the world’s longest continuously inhabited settlement, dating back thousands of years. The citadel’s Textiles Museum houses a privately-owned collection of Kurdish carpets, rugs, traditional hats and artefacts from around Kurdistan. 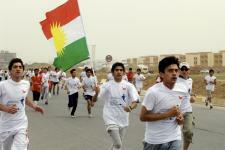 Hundreds participate in Erbil Freedom Day Run 2008! 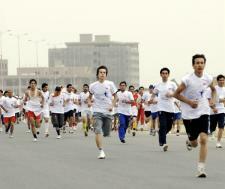 Hundreds participated in the second Erbil Freedom Day Community Run, organised by the Salah Rahman Sports Foundation. The run was held on Wednesday 9th April 2008. On a bright sunny day, the 10K run started on the Ainkawa intersection to the airport, and the 5K run further down the route, and ended in Sami Abdul Rahman Park. Also a short children's race took place inside the park. The runners celebrated their achievement in a carnival atmosphere at the park amphitheatre with the top ten runners receiving medals. 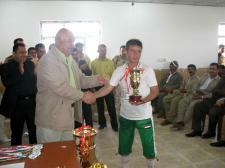 Nawzad Hadi, Governor of Erbil gave out prizes at the medal ceremony alongside Deputy Governor Taher Abdulla. The community run was a positive experience for all, with great assistance from local and foreign people and organisations. Over 300 participants in the Ranya Community Run! 6 March 2008 - On Wednesday 5th March 2008 over 300 runners took part in the Ranya Community Run. Youths from within the town and surrounding areas gathered in a celebratory atmosphere to run 10km and 5km distances. Ranya is a town in the eastern part of the Kurdistan Region in Iraq and 5th March is a special day in its, and Kurdistan's, history. On that day in 1991, the residents of the town of Ranya began the uprising against Saddam Hussein's Baath regime, and from there it spread throughout Kurdistan. Some runners also came from far and wide including a young adventurer; Fred Hills from the UK! 2nd October 2007 - The Salah Rahman Sports Foundation is pleased to announce it has renewed its grant to the Erbil Sports College in Kurdistan for for the academic year 2007 - 2008. In 2006 The Foundation gave a grant to the College for the employment for one academic year of a leading Gymnastics Teacher, Ms Mahin. She has studied Sports Science to Baccalaureate level and will help improve the standard in gymnastics to female students. Following an appraisal of by the Foundation of the standards achieved we are pleased to renew the grant for one further year. She will teach over 40 students in year three of the curriculum. At the end of the four-year course after studying a variety of sports and disciplines, the students obtain a Baccalaureate degree in Sports Education. A pass rate of 80% is expected, with ongoing efforts to improve that. These students will go on to teach sports to thousands of people throughout the Region in schools and colleges, as well as becoming private coaches and working in sports clubs. 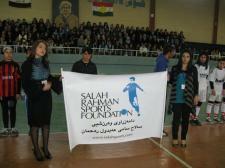 This grant from the Foundation is key in helping to deliver and improve sports to the grass roots in Kurdistan. Details of other projects will follow soon. 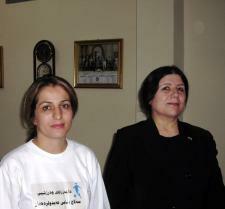 Pictured right is Fawzia Rahman, Salah’s mother, with Ms Mahin. 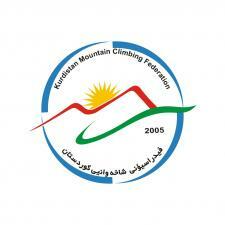 On June 8th 2007 The Salah Rahman Sports Foundation, in collaboration with the Kurdistan Mountain Climbing Federation (KMCF), organised a climb of Mount Saffin, located close to the town of Shaqlawa in Kurdistan. 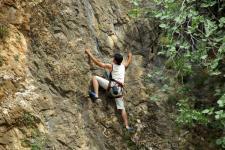 A group of over 60 men, women and children took part from all walks of life within Kurdistan. This included civil servants, labourers , teachers, mothers and daughters as well as the Mayor of Erbil and the President Of Salahadin University. All had a challenging and enjoyable day, with most of the climbers reaching the peak and six members of KMCF performing an amazing abseil, one of whom is a grandmother! 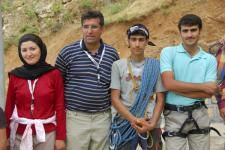 The Foundation would like to thank Mr Anwer A Mohamed, Director of the Kurdistan Mountain Climbing Federation, who is a skilled and seasoned climber, skier and hiker and his wife Avin for helping to organise such a special day. Dr Mohamed Sidiq for arranging transport to Mount Saffin for the climbers and for issuing the certificates to all those who reached the summit. Also our thanks to Mr Heval Rashid Xorshid, the Mayors of Erbil and Shaqlawa, Stafford and Arjun Clarry for photographing the day and of course all those who took part. 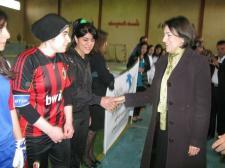 The Foundation will continue to collaborate with local organisations to deliver sports to the people of Kurdistan. 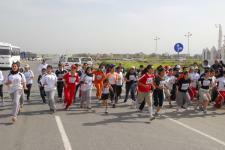 Nearly 700 people participated in the First Erbil Freedom Day Community Run, organised by the Salah Rahman Sports Foundation. The run, which was held on Monday 9th April 2007, a national holiday, attracted 685 runners. On a bright sunny day, the 10K run started on the Ainkawa intersection to the airport, and the 5K run further down the route, and ended in Sami Abdul Rahman Park. The runners celebrated their achievement in a carnival atmosphere at the park amphitheatre with the top ten runners receiving medals. All participants received goody bags of commemorative T-shirts, caps and small gifts kindly donated by many benefactors. 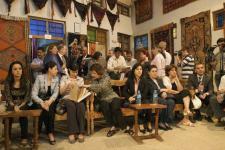 The turnout was unprecedented for the Kurdistan Region. It was also the first time that participation for a fun run was widely advertised and access made available to as many as possible. The run was open to all over the age of 15 and registration forms were provided in many public places. Taha Barwary, the Kurdistan Regional Government Minister for Sports and Youth, at the medal ceremony said that his ministry could not carry out its work alone and needed the support of individuals and charities such as the Salah Rahman Sports Foundation to help develop sport in Kurdistan. The community run was a learning experience for all. 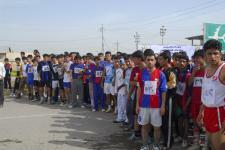 This was the first time that so many were involved in organising or participating in a fun run. We hope it will go from strength to strength in years to come. •	Kak Khasro, Darivan, Sirwan, Reza, and all the others who helped to write the numbers and pack the gift bags.